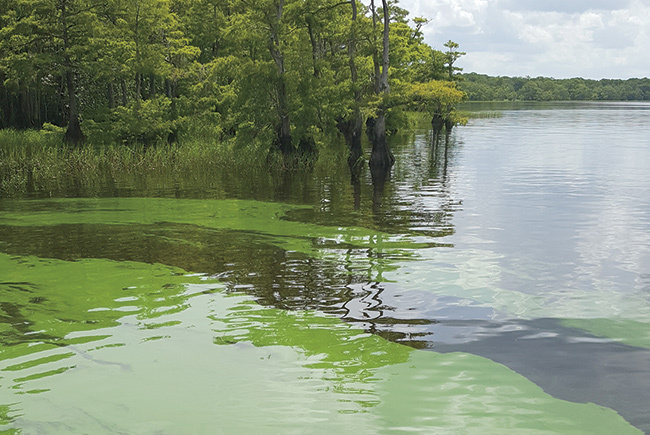 Amid rising concerns about pollution in the headwaters of the St. Johns River, a Treasure Coast lawmaker has filed a bill that could prohibit ranch owners in Indian River, Osceola and Brevard counties from using treated human wastewater as a cheap source of fertilizer. The legislation, sponsored by Rep. Erin Grall, a Republican attorney from Vero Beach, would prohibit state regulators from issuing permits to spread Class B biosolids – the most lightly treated form of wastewater, commonly referred to as sludge – in the upper basin of the St. Johns River unless they can prove that doing so would not add to nutrient loadings in the watershed. The upper basin of the St. Johns – which flows northward for more than 300 miles, emptying into the ocean at Jacksonville – has become the favored dumping ground for biosolids. Cities and counties around the state pay private haulers to take the materials, who in turn obtain permits from the state to spread it as a fertilizer on ranches. But biosolids contain large amounts of phosphorous, which, if washed into rivers and lakes, feeds the growth of algae. Learn more about the issue in “Biosolids: Waste to fertilizer – to pollution?” in the December 2018 issue of Florida Trend.